Coswell is an italian family run group of companies specialized in manufacturing and distribution of body and oral care products, health foods, masstige and selective fragrances, skin care and cosmetics in the mass market, perfumeries and pharmacies. Coswell is a modern and innovative company that merges economic and social values in all its daily activities. It strongly believes in the respect for local communities to achieve a sustainable growth and satisfy the economic, environmental and social needs of all parties involved. 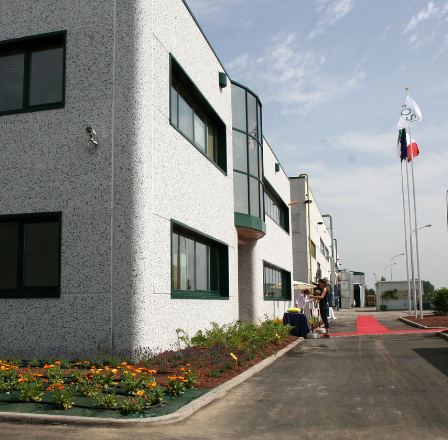 Incos Cosmeceutica Industriale is the modern evolution of a consolidated industrial history. Founded on January 1st 2009 as a part of Cos well, formerly Guaber, the Company combines modernity with the dynamism of a youthful partner with the experience and reliability of the historic parent Company founded it 1961. Incos Cosmeceutica Industriale is a leading enterprise specialized in the production of a wide range of toiletry and cosmetic products, herbal and health foods. 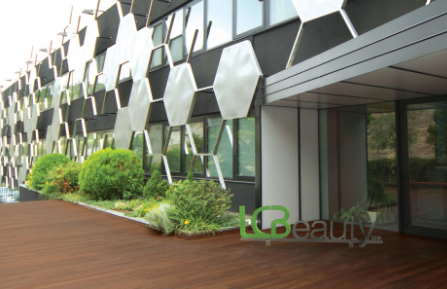 LCBeauty was established in 2010 and is already a fully-grown business ready to meet today’s challenges, a new player on the national and international field, boasting over 25 years of experience and professional success thanks to its roots in LCS (San Marino Chemical Pharmaceutical Laboratory) and the vast array of Gauber, Coswell and Eurocosmesi products. This newly accepted challenge involved choosing to establish a structure specialized in the exclusive creation of personal hygiene products: alcohol and non-alcohol based perfumes, spray and roll-on deodorants, creams in pots and tubes, all making the most of our excellence acquired over the many years spent collaborating with highly prestigious clients and suppliers. LCBeauty has been formed to offer the market a partner in excellence, with highly specialized skills and absolute dedication to quality. The plant of Chocolate division of Coswell Group, 1,300 square meters of an establishment entirely renovated in 2015, is located at the foot of Castello di Conegliano and surrounded by Controlled and Guaranteed Origin Denomination Prosecco vineyards. 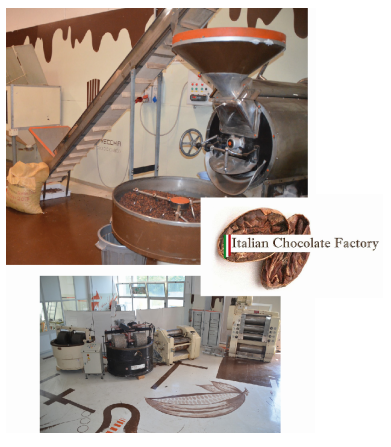 The chocolate plant is currently under the supervision of Mirco Della Vecchia, world famous Maitre Choco-latier, who won the award of Best Italian Chocolatier in 2007 and 2008 and the gold medal at the Culinary Olympics in Erfurt in Germany. The Chocolate division is characterized by its versatile and flexible production, thanks to an internal research and development laboratory able to create any product of chocolate and cocoa powder in short time, monitoring the results and adapting the recipes in real time. The plant is equipped with the most modern machineries with PLC remote control and touch screen and everything is integrated with our system and quality procedures. However, the most important thing that differentiates our division is the careful selection of raw materials and the attention paid to the perceived quality. All this thanks also to the daily partnership with L'Angelica laboratories in order to offer a healthy and functional chocolate, without compromising taste. 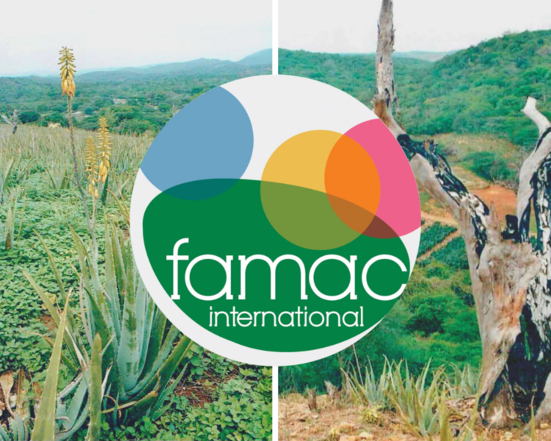 FA.MA.C International, which is present on the italian trade with its brands Doctor Aloe and Aloe Vera Benessere, produces, exports and trades Aloe Vera. This activity is born in 1999, when Doctor Bruno Mana, agronomist graduated in herbal techniques and expert in active ingredients of medicinal plants, visited Venezuela. The goal of the trip consisted in analizing terrain destinated to cultivate and grow Aloe Vera for third parties. The working process of Aloe requires time and skills, since the production of a plant takes a long time, about 5/6 years and the treatment of leaf must be refined and transformed within four hours after the first cut, before the oxidation and fermentation process takes place. We choose to produce and distribute BIO in order to help the agricultural system to work as natural as possible and to reduce the human impact on the enviroment. FA .MA.C math activities are: production of rawmaterials in drum, private brand production of final product on behalf of third parties, lyophiized and atomized packaging of Aloe Vera, production with own brand Doctor Aloe and Aloe Vera Benessere.